Pastor Marvin often bring up books that are relevant to the points he makes in his sermon; some books I have read, some I am not so interested in, some tough ones I know I will get lost in and some really interesting ones. 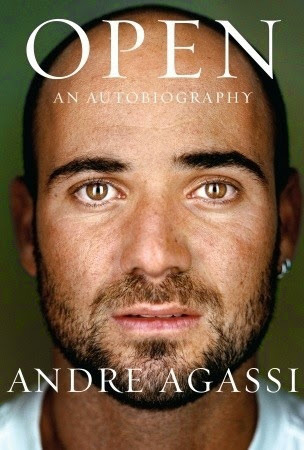 My reading spurt stopped about three weeks ago and I could not find any book that is good enough to keep my attention, until when he talked about an autobiography written by Andre Agassi. It caught my attention. I am not a tennis fan. Truth be told, I don't even know how the game is played, that is, I don't know how many sets there are and I don't know how a game is won. Even now, midway through the book. But it's a good read. What I learnt is that in everything that we do, there is a price to pay, a cost to carry. Athletes torment and torture their bodies to reach their goals and win tournaments. By the time Agassi retired at age 36, his body is almost a total wreck. There is always an opportunity cost in all we do. In the same way, there is a price to pay to be reconciled to God, and Jesus at the cross paid it. But the beauty of it is this - this cost is grace freely given to us who believe.